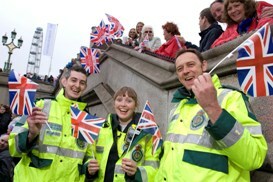 Our Emergency Ambulance Crews (EAC) support and work alongside Paramedics and technicians. Are you a good communicator, able to work with people from all walks of life? Can you handle stressful situations? And are you flexible in your approach? Do you have basic computer skills? Do you have GCSE English and Maths grade A-C? You don’t need a medical background for this role. After 22 weeks of paid training you will deliver emergency and urgent care to patients and members of the public. 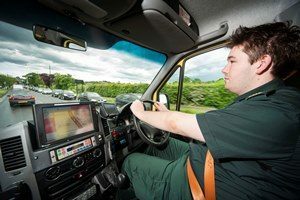 Working as Emergency Ambulance Crew in London will give you a sense of satisfaction that is found in very few other jobs. Also included is the Ambulance Emergency Response Driving (AERD) or ‘Blue Light Driving’. As a Level 4 programme you will undertake written assessments, the vast majority of which will require you to evidence and submit work based on all of the learner outcomes and the assessment criteria of FutureQuals, which will take you a year to complete. These learner outcomes are available to view on the FutureQuals website. You will be paid £18,570 as you train, rising to £28,179 inclusive maximum after training plus annual increments inclusive maximum. You will also be able to take advantage of other benefits which are listed on our Benefits page. To apply for this role you will need to register with NHS Jobs and complete the online application form.